Free Message & Frosty Coca-Cola for a Friend. Send a Coca-Cola to a friend. 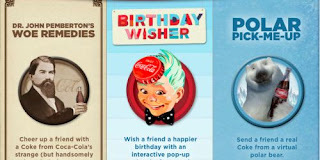 Just pick which picture you want to go to the app and put your message in to send their gift.